Henry Busse Sr. was a German-born jazz trumpeter. A 1948 review in Billboard magazine said that Busse had "a keen sense of musical commercialism". Clyde Lee McCoy, was an American jazz trumpeter whose popularity spanned seven decades. He is best remembered for his theme song, "Sugar Blues", written by Clarence Williams and Lucy Fletcher, and also as a co-founder of Down Beat magazine in 1935. The song hit in 1931 and 1935, in Columbia and Decca versions, and returned to Billboard magazine's Country (Hillbilly) chart in 1941. It was also played with vocals, by Bob Wills and his Texas Playboys, Fats Waller and Ella Fitzgerald. James Hal Kemp was a jazz alto saxophonist, clarinetist, bandleader, composer, and arranger. He was born in Marion, Alabama, and died in Madera, California, following an auto accident. His major recordings were "Got A Date With An Angel", "Heart Of Stone", "Lamplight", "The Music Goes 'Round And Around", "You're The Top", "Bolero", "Gloomy Sunday", "Lullaby Of Broadway", and many others. 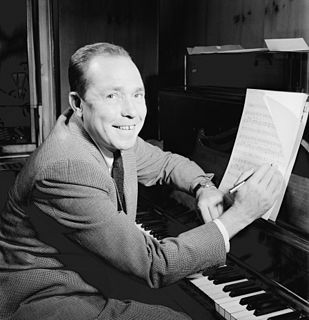 Hal Mooney, born Harold Mooney, was an American composer and arranger. After his tour of duty, Busch decided to dive back into the music business. It was around this time that singer-songwriter Johnny Mercer was recruiting artists and employees for his recently formed label, Capitol Records, so Busch was hired for the radio transcription service in 1946. He was in charge of production of promotional radio shows featuring Capitol artists for distribution to stations around the country. For military soldiers, a tour of duty is usually a period of time spent in combat or in a hostile environment. In an army, for instance, soldiers on active duty serve 24 hours a day, seven days a week for the length of their service commitment. Soldiers in World War II were deployed for the entire war and could be in active service for 4-5 years. One summer, Busch backed singer Jo Stafford and conductor Paul Weston on the hit record "Ragtime Cowboy Joe". The success encouraged both him and the label to release his own original single, "Ivory Rag", early in 1950. It was the first piece incorporated into the "Crazy Otto Medley" by German pianist Fritz Schulz-Reichel, which was later associated with Johnny Maddox in the U.S.
Jo Elizabeth Stafford was an American traditional pop music singer and occasional actress, whose career spanned five decades from the late 1930s to the early 1980s. Admired for the purity of her voice, she originally underwent classical training to become an opera singer before following a career in popular music, and by 1955 had achieved more worldwide record sales than any other female artist. Her 1952 song "You Belong to Me" topped the charts in the United States and United Kingdom, the record becoming the first by a female artist to reach number one on the U.K. Singles Chart. Paul Weston was an American pianist, arranger, composer, and conductor who worked in music and television from the 1930s to the 1970s, pioneering mood music and becoming known as "the Father of Mood Music". His compositions include popular music songs such as "I Should Care", "Day by Day", and "Shrimp Boats". He also wrote classical pieces, including "Crescent City Suite" and religious music, authoring several hymns and masses. "Ragtime Cowboy Joe" is a popular song. The lyrics were written by Grant Clarke and the music was composed by Lewis F. Muir and Maurice Abrahams. It was copyrighted and published in 1912 by F.A. Mills. His biggest hits from the 1950s include "Portuguese Washerwoman", "Sam's Song", a cover of Del Wood's version of "Down Yonder", and the international hit "Zambezi". Some of the singles include his vocal backup group, the Carr Hops. Often overlooked are several mainstream and jazz sides he recorded as Lou Busch, featuring exciting band or orchestral arrangements. "Sam's Song " is an American pop song written in 1950 with music by Lew Quadling and lyrics by Jack Elliott. It was first released as a Capitol single by Joe "Fingers" Carr and the Carr-Hops in May 1950. By June of that year, Carr's single had made it to all three of Billboard's music popularity charts, and several other artists had released the song, including bandleaders Freddy Martin and Victor Young. Gary and Bing Crosby's release of the song in July 1950 was a hit, ranked as the 4th best selling record of 1950 according to Billboard. Dean Martin and Sammy Davis Jr. also released a hit recording of the song in 1962. Polly Adelaide Hendricks Hazelwood, known professionally as Del Wood, was an American pianist. Busch eventually left Capitol for Warner Bros. Records where he took on the same general responsibilities. Busch returned to arranging and conducting responsibilities again, one of the most notable being the musical force behind comic singer Allan Sherman. A few later albums were released on the ragtime-centric Dot label, and in the late 1970s he produced one more effort with friend and jazz pianist Lincoln Mayorga, complete with a couple of new tunes, The Brinkerhoff Piano Company. Joseph Russel Robinson was an American ragtime and dixieland jazz pianist and a composer. James Price Johnson was an American pianist and composer. A pioneer of the stride style of jazz piano, he was one of the most important pianists who bridged the ragtime and jazz eras, and, with Jelly Roll Morton, one of the two most important catalysts in the evolution of ragtime piano into jazz. As such, he was a model for Count Basie, Duke Ellington, Art Tatum, and Fats Waller. 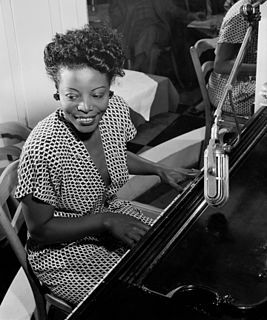 Mary Lou Williams was an American jazz pianist, arranger, and composer. She wrote hundreds of compositions and arrangements and recorded more than one hundred records. Williams wrote and arranged for Duke Ellington and Benny Goodman, and she was friend, mentor, and teacher to Thelonious Monk, Charlie Parker, Miles Davis, Tadd Dameron, Bud Powell, and Dizzy Gillespie. Andrew Dewey Kirk was a jazz saxophonist and tubist best known as a bandleader of the "Twelve Clouds of Joy", popular during the swing era. Margaret Eleanor Whiting was an American popular music and country music singer who gained popularity in the 1940s and 1950s. Marvin E. Ashbaugh was an American jazz pianist. Johnny Maddox was an American ragtime pianist, historian, and collector of music memorabilia. Plas John Johnson Jr. is an American soul-jazz and hard bop tenor saxophonist, probably most widely known as the tenor saxophone soloist on Henry Mancini’s "The Pink Panther Theme". He also performs on alto and baritone sax as well as various flutes and clarinets. This is a timeline documenting events of Jazz in the year 1965. 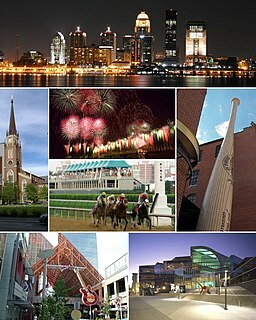 This is a timeline documenting events of Jazz in the year 1999. This is a timeline documenting events of Jazz in the year 1952. This is a timeline documenting events of Jazz in the year 1945. Lincoln Mayorga is an American pianist, arranger, conductor and composer who has worked in rock and roll, pop, jazz and classical music. Trebor Jay Tichenor was a recognized authority on Scott Joplin and the ragtime era. He collected and published others' ragtime piano compositions and composed his own. He authored books about ragtime, and both on his own and as a member of The St. Louis Ragtimers, became a widely known ragtime pianist. In the early 1940s in jazz, bebop emerged, led by Charlie Parker, Dizzy Gillespie, Thelonious Monk and others. It helped to shift jazz from danceable popular music towards a more challenging "musician's music." Differing greatly from swing, early bebop divorced itself from dance music, establishing itself more as an art form but lessening its potential popular and commercial value. Since bebop was meant to be listened to, not danced to, it used faster tempos. Beboppers introduced new forms of chromaticism and dissonance into jazz; the dissonant tritone interval became the "most important interval of bebop" and players engaged in a more abstracted form of chord-based improvisation which used "passing" chords, substitute chords, and altered chords. The style of drumming shifted as well to a more elusive and explosive style, in which the ride cymbal was used to keep time, while the snare and bass drum were used for accents. This appealed to a more specialized audiences than earlier forms of jazz, with sophisticated harmonies, fast tempos and often virtuoso musicianship. Bebop musicians often used 1930s standards, especially those from Broadway musicals, as part of their repertoire. Among standards written by bebop musicians are Gillespie's "Salt Peanuts" (1941) and "A Night in Tunisia" (1942), Parker's "Anthropology" (1946), "Yardbird Suite" (1946) and "Scrapple from the Apple" (1947), and Monk's "'Round Midnight" (1944), which is currently the most recorded jazz standard composed by a jazz musician. An early 1940s style known as "jumping the blues" or jump blues used small combos, uptempo music, and blues chord progressions. Jump blues drew on boogie-woogie from the 1930s. Kansas City Jazz in the 1930s as exemplified by tenor saxophonist Lester Young marked the transition from big bands to the bebop influence of the 1940s. These divergences from the jazz mainstream of the time initially met with a divided, sometimes hostile response among fans and fellow musicians, especially established swing players, who bristled at the new harmonic sounds. To hostile critics, bebop seemed to be filled with "racing, nervous phrases". Despite the initial friction, by the 1950s bebop had become an accepted part of the jazz vocabulary. The most influential bebop musicians included saxophonist Charlie Parker, pianists Bud Powell and Thelonious Monk, trumpeters Dizzy Gillespie and Clifford Brown, and drummer Max Roach. This is a timeline documenting events of Jazz in the year 1919. Onzy Durrett Matthews, Jr. was an American jazz pianist, singer, arranger and composer as well as a television and movie actor. He is best known for the big band arrangements done for the Lou Rawls albums Black and Blue and Tobacco Road, as well as arrangements for several of Ray Charles' 1960s releases. He had his own big band for many years and recorded numerous tracks for Capitol Records, including two albums released under his own name. He later had a close relationship with the Duke Ellington orchestra, working as a pianist, arranger and conductor through the late 1960s and 1970s. This is a timeline documenting events of Jazz in the year 1910. Leland James Gillette, known professionally as Lee Gillette, was an American A&R director, record producer and musician. 1 2 3 4 5 6 7 "Joe "Fingers" Carr". Spaceagepop.com. Retrieved 19 February 2019. 1 2 3 4 5 "JOE "FINGERS" CARR". Rockabilly.nl. Retrieved 19 February 2019. ↑ "Last two albums were combined into one CD by Collectables Records in 2007 (COL 7869)". Oldies.com. Retrieved 19 February 2019. "A Tree in the Meadow"
"I Said My Pajamas (and Put On My Pray'rs)"